The 5000 Series Double Hung Window is made with the finest quality components available in the window industry. From the patented beveled frame to the “warm-edge technology” insulated glass, the 5000 Series window will add value to any home. 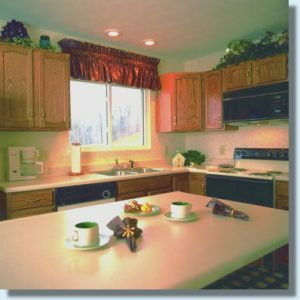 Every consumer is looking for the best maintenance free product that has a traditional look. 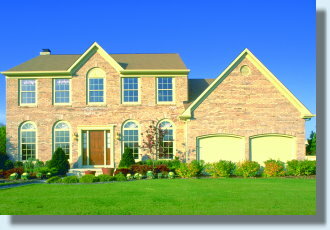 The new 5000 Series Double Hung is just the window that fills the expectations of the discerning homeowner. 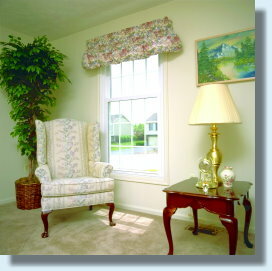 Both the top and bottom sashes tilt-in for safe and easy cleaning. 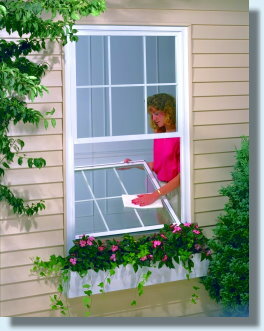 No one will ever hang out of a window or climb a ladder to clean windows again. Full Interlock: Overlap interlock features dual weatherstripping to keep out the elements. 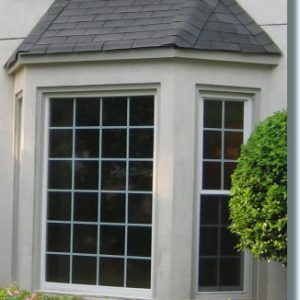 Warm Edge Insulated Glass: 3/4″ overall thickness for the best performance available. Recessed Tilt Latches: Aesthetically pleasing recessed hardware allows for easy cleaning with tilt-in action. Constant Force Balance System: Operates smoothly without adjustments. 5° Sloped Still: Allows water run-off even during heavy rains. Interlocking Meeting Rails: Provides added security and strength. Double Nite-Latches: Keeps window from being completely opened. Grids Between The Glass: 13/16″ grids for easy cleaning and aesthetic appeal.